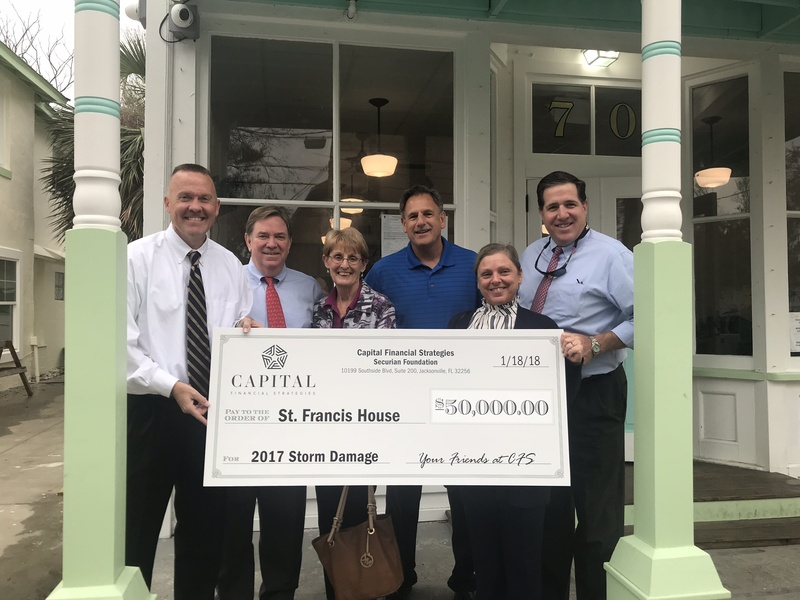 Representatives of Capital Financial Strategies are pictured above in proud support of the Saint Francis House located in St. Augustine, Florida. Through the affiliation with Securian Financial Foundation, the team of financial advisors pledged $50,000 in support of the St. Francis House after hurricanes Irma and Harvey caused significant damage to two of their buildings. The funds will assist St. Francis House in repairing the buildings. At Capital Financial Strategies, we take pride in our communities. Our advisors volunteer with and serve on the boards of over 25 local charities and community organizations. A listing of some of the organizations supported by our firm and our advisors appears below.